We recently explained how the most common types of criminal background checks work. Today, we’re talking about the other category of background checks: non-criminal. 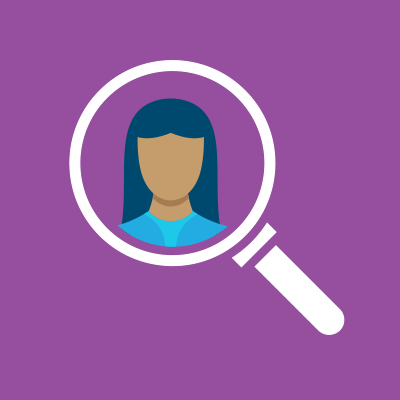 Employers can choose from a variety of non-criminal background checks that will help them find the candidate information most relevant for the position they’re hiring for. Though the types of background checks an employer will conduct may vary due to variables like industry and job responsibility, we’ve outlined some of the most common types of check below. This type of search uses a candidate’s social security number to pull address information from a credit bureau. The information found during this search is used to verify candidate-provided information. Additionally, because this type of search will return additional names and addresses associated with an individual, it makes it possible to use developed names and addresses when conducting criminal background checks. Social Security Number ID checks return results instantly. Some employers choose to run a driving record check for candidates, usually when they’ll be required to operate a motor vehicle as part of their job. The driving record check ensures a candidate has the correct license needed for the position, and verifies the license type, status and whether or not there are any restrictions on it. Because every state has a different process for how information can be gathered, there can sometimes be a small delay in gathering results. Typically, though, results can be found instantly or be delivered within 24 hours. 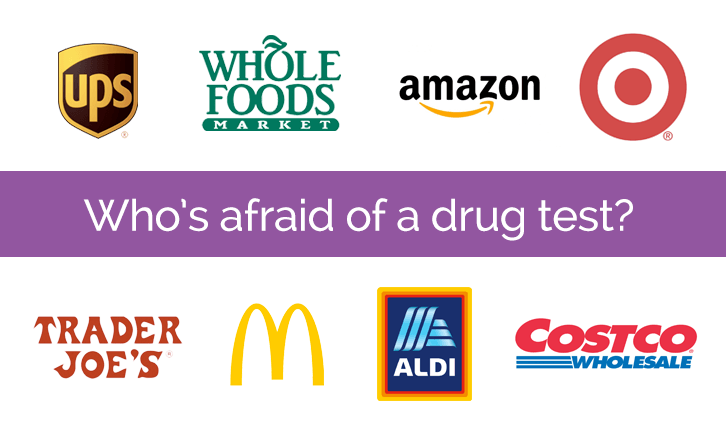 Many companies conduct drug tests, for both prospective and current employees. There are many types of drug tests available, and an employer may choose what substances to screen for and what level of substance use (if any) is acceptable. Drug testing typically involves collecting urine, hair or blood samples from the candidate for substance screening. Candidates usually go to a third-party, Substance Abuse and Mental Health Services Administration (SAMHS)-certified laboratory to complete their drug test. Because every drug test is different, there is no standard turnaround time for receiving results. Because many jobs require a minimum level of education to perform a job, an education verification is often used to confirm a candidate’s educational achievements, including the dates of attendance, date of graduation, degree earned, minor earned and GPA (if available) at their school. Although this verification is often completed within three to four days, the turnaround time can vary for a number of reasons. For example, summer break, holidays and graduation periods typically have a slow turnaround due to temporary decreases in staff size or increased workloads. Additionally, older records can be more difficult for a registrar to find, resulting in additional slowdowns. A professional license verification confirms that a candidate has the proper license issued by the state to perform the essential functions of their job. These searches are typically conducted through an online search. However, restrictions and violations associated with the individual aren’t always listed within these search results. A professional license verification can return results immediately, although it sometimes takes up to 48 hours to complete. Employment history verification allows employers to confirm that the work history information provided by a candidate is accurate. During the employment history verification process, the consumer reporting agency (CRA) will attempt to confirm the dates of employment, job title, and reason for leaving each job. What was the applicant’s job and the nature of their duties? How did the applicant get along with their associates? In your opinion, has the applicant ever shown a propensity for violence or dishonesty in the workforce? Because this type of verification requires cooperation with another employer, there can be a potentially long turnaround time – upwards of three to four days. Additionally, not all employers will provide details about their former employees, resulting in information that cannot be verified. The reference check process is similar to the employment history verification process. During a reference check, the CRA will talk to a current or previous co-worker to learn more about the candidate. These conversations can give insight into a candidate’s capabilities and demeanor as a coworker. However, because a candidate could list a friend as a reference, it’s possible that the reference’s description of a candidate may be unfairly biased in favor of the candidate. Have you ever worked with the applicant? If you have worked with the applicant, what was the applicant’s job and the nature of their duties? In your opinion, does the applicant have good communication skills? The turnaround time for a reference check is dependent on how quickly a reference returns the CRA’s calls and could take as long as three to four days. A social media screening looks at the publicly-available content posted by a candidate to ensure they aren’t participating in activity online that could be damaging to your brand or otherwise pose a risk to your organization and its people. By looking at public activity on Google search, Facebook, Twitter, Instagram, LinkedIn, Pinterest and Bing, employers can learn more about the character of each candidate. The turnaround time of a basic social media screening is just 48 hours. A more detailed report can take between three and five business days to complete. Which Non-Criminal Background Checks are Right for Your Organization? As you consider which background check types are best for your organization, consider your industry, the job responsibilities of your candidates, and any additional regulations which you must adhere to. Some background checks, like a social media screening, can be suitable for any type of employee. Others, like a driving record check, may only be necessary if a candidate’s ability to do their job depends on the results of the check. If you need help determining the best package of checks for your company, a CRA like JDP can help.